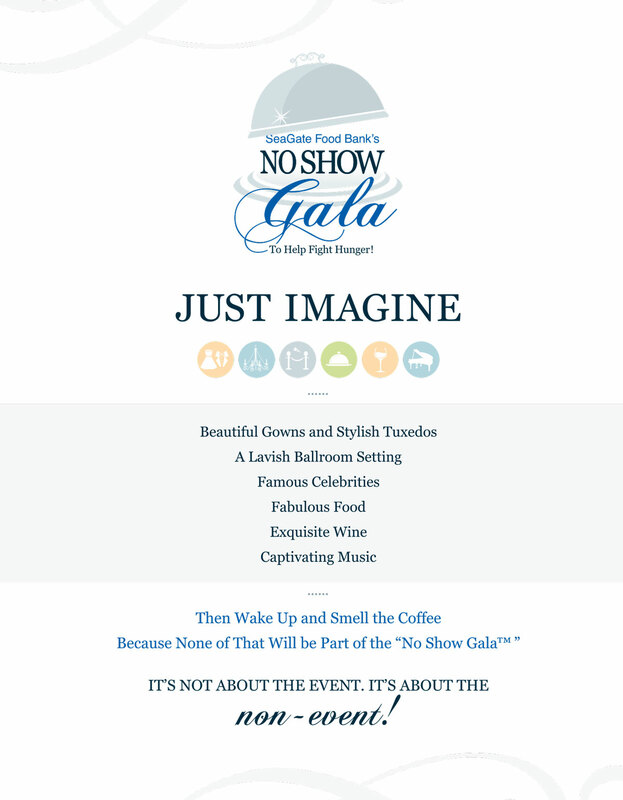 Designed for caring, community-minded citizens who’d be just as happy to not attend another fundraiser. 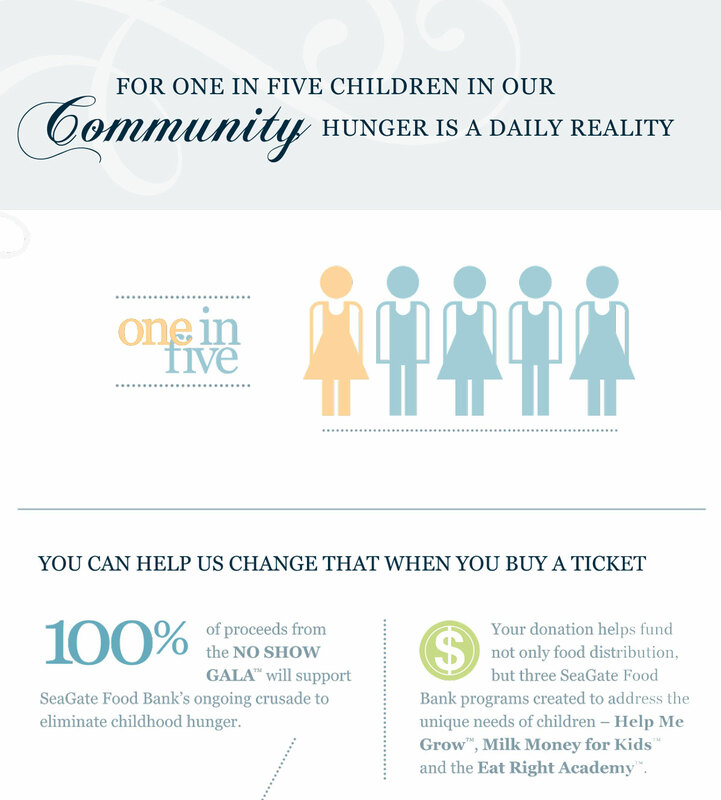 Help support this important ongoing crusade! 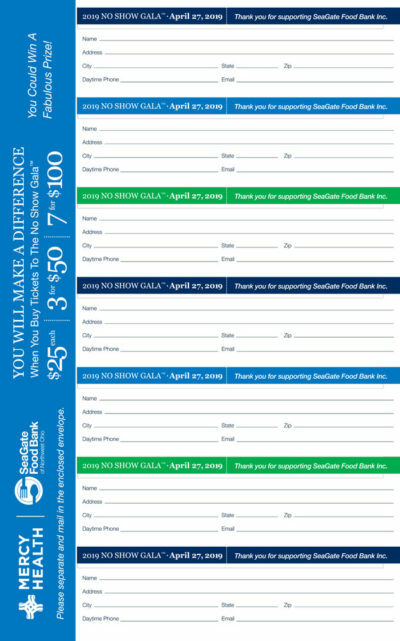 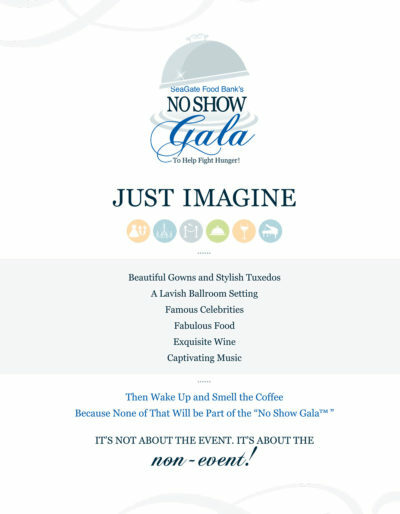 100% of proceeds from the NO SHOW GALA™ will support SeaGate Food Bank’s ongoing crusade to eliminate childhood hunger. 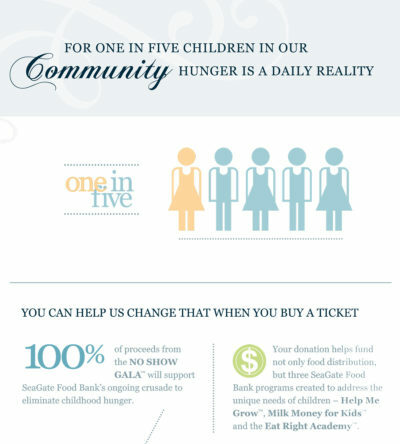 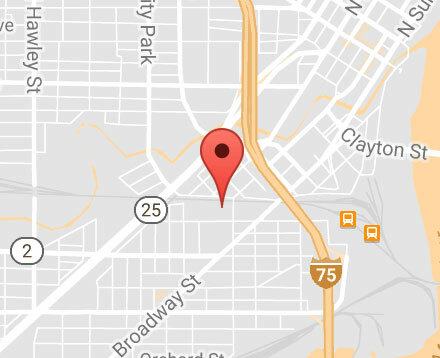 Your donation will fund not only food distribution, but three SeaGate Food Bank programs created to address the unique needs of children—Help Me Grow™, Milk Money for KIds™ and the Eat Right Academy™.